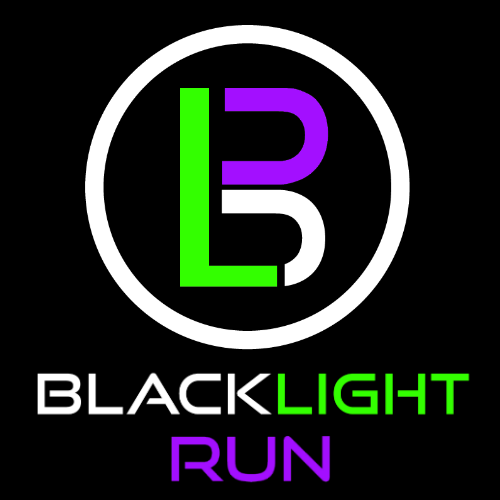 1) Wear a white shirt (any white T-shirt will work or wear your awesome commemorative Blacklight Run™ T-Shirt given with your registration) to be worn at the start line. 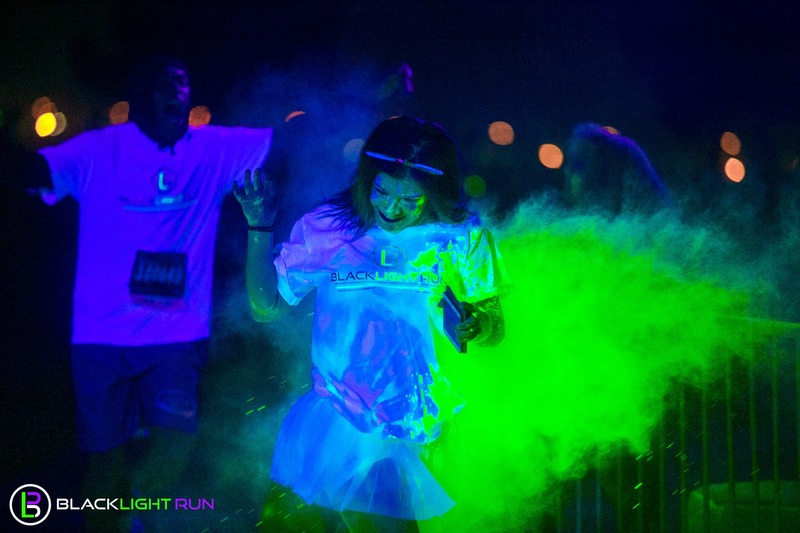 2) You will finish covered in Blacklight Run™ UV Liquid Glow, that will glow in our Blacklight Zones™ and at the Blacklight Run After Party™. By the end, you will look like you fell into a Ghost Buster’s movie (minus the slime) and covered with different colored Blacklight Run™ UV Liquid Glow. This is the first of its kind at night and is quickly sweeping the nation! *Please bring a photo ID to pick up your race packet. There is a $5.00 fee to pick up your packet on race day. This fee was instituted to encourage people to attend pre-packet pickup so we can minimize lines and wait times on race day. Yes, we do allow people to pick up packets for other people (team member, family, friends). As long as their waiver has been signed online (generally one during registration or downloaded HERE) you will just need to present their confirmation email. That way, we know you have permission to get your friends’ stuff! We will be releasing waves of runners every 2-5 minutes at the starting line at the events start time. Starts 45 minutes before the race. This is the best pre-party in the country. Music to blow you away and a chance to get a ton of free glow gear at the stage! Get ready for an evening of fun, UV liquid glow and memories. DJs to be announced soon! 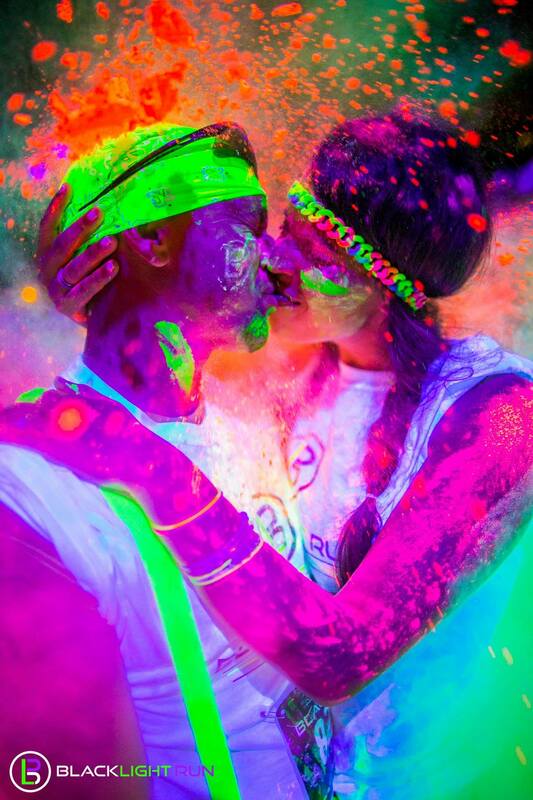 Please stay after the race for an amazing Blacklight Run After Party. 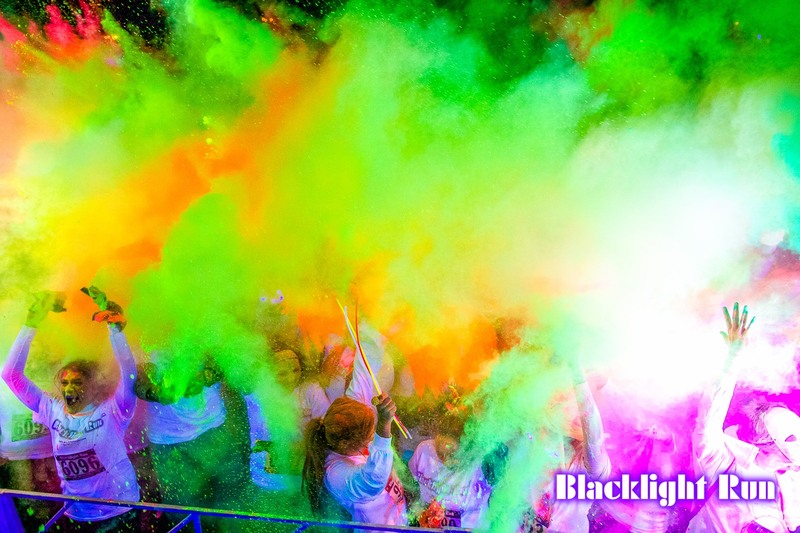 Liquid Glow will be sprayed across the crowd at the After Party under the most Blacklights ever seen assembled. 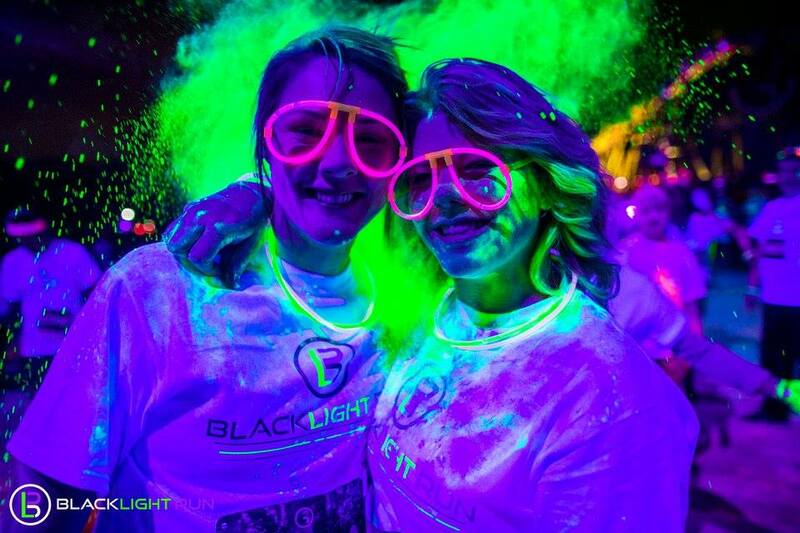 Please note we do not offer refunds, if you are unable to join us, please transfer your ticket to another athlete or contact service@blacklightrun.com for more information.